When Paisley Piasecki, a junior in Boston University’s College of Communication, attended an event hosted by her favorite blogger and author last summer, she recognized a need for women. It was a need that inspired her to follow her entrepreneurial dreams. The event, hosted by “The Champagne Diet” author Cara Alwill Leyba, forged a conversation among the approximately 50 female attendees about shared issues that women face in the professional world. Then came Piasecki’s solution — SheWerksIt. The startup website and brand aims to inspire college-aged women to find their passions and achieve career goals. SheWerksIt includes a blog called The #Werkbook, a calendar featuring networking and education-oriented events in Boston and #Werkshops that Piasecki leads herself. 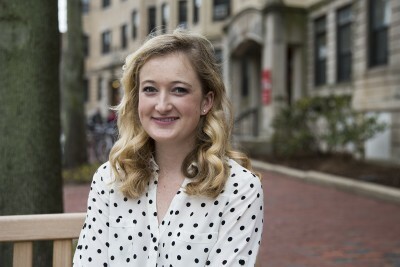 She features “girls in the Boston area who are doing amazing things” in her blog series titled #BostonBabe, many of which have been BU students. However, she’s using social media to enhance her platform and reach out to women at Boston College and Harvard University as well. For the workshops, Piasecki offers both take-home PDFs about finding and pursuing one’s passion and in-person sessions teaching women to build websites. At a lower price than most web design classes, Piasecki teaches attendees to code and create their own blogs with her #WebWerkshops. Prices range between $30 and $65. Piasecki is excited to build upon her startup and watch it grow. In the future, she hopes to add a mentorship component to the website where established women speak about their business endeavors and give career advice to college students. Piasecki hopes to inspire other young women to find their passions and follow their business goals. She emphasized that it helps to be both positive and open to new ideas when exploring career possibilities.